I love to sleep outdoors. It kind of feels right for me. It’s hard to describe but when I’m for weeks inside buildings and only be able to breathe fresh air during duty stroke I get withdrawal symptoms. But there are a few little things which can make the difference between an unforgettable stay in the woods in a positive or a negative way. One of these negative experiences are mosquitos. I think it’s the number one reason an outdoor trip became a horrible memory. As you can read in my Alte Aare Dulliken fishing trip even I get annoyed sometimes about them. In june there was a article in the NZZ (Neue Zürcher Zeitung) which argued that there’s no escape of those pests, because of their advanced three-staged retrieval strategy. At first they follow CO2 which animals exhale. As soon as they found CO2 they change to visual attraction. After they spotted their victim they change to look for warmth and a good spot to bite you. The NZZ draws the conclusion that there is no escape. Obviously it’s hard to get rid of the mosquitos, but there’s still the opportunity to use this knowledge to improve our protection strategy. Use an anti-mosquito spray with at least 25% content of DEET. This will help to make it harder for them to get to you, even if you still exhale CO2. Wear clothes in natural colors thus you’re less visible and have a low-contrast. Burn something which has citronella. Try to avoid the peaks when the most mosquitos are out there. Especially a short time after sunset there are plenty of mosquitos near to any water. If you already set up your tent you’ll be glad. Trust me. Very glad. Last but not least: sometimes the only effective way to shed mosquitos is to carry a mosquito net with you. Do you have any other tips to avoid bites? What are your experiences? There are parts of New Zealand where you will need to make practical use of this advice. We have mosquitoes, and equally horrible in the great outdoors can be the sandflies. Following your advice works with them, too. 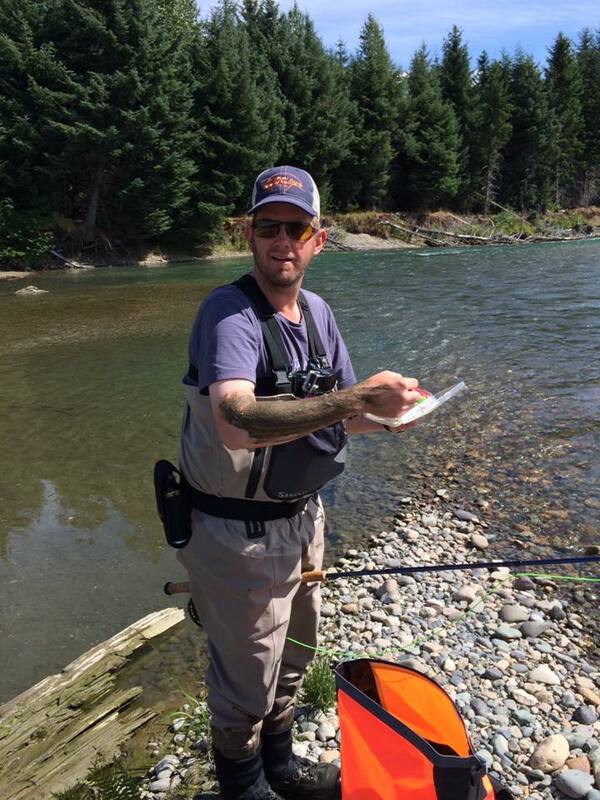 Yeah, I already met some sandflies on my last fishing trip to the Waihou river near Hamilton. They look quite harmless but their bites were in my opinion even more itchy than the one of ‘normal’ mosquitos.